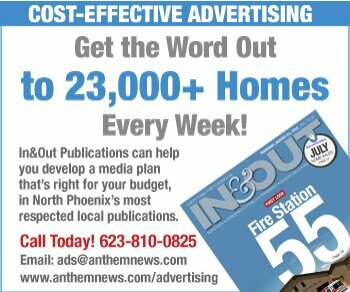 The weekly NoPho Newsletter will keep you informed of news and events in North Phoenix [map]. And you’ll get an occasional breaking news alert. But we won’t spam your inbox. Anthem residents may wish to subscribe to the Anthem Newsletter for more targeted content (some articles appear in both newsletters). After you click “Subscribe,” check your email inbox to confirm your subscription.